We live in a stressful world. Anxiety is a part of the human condition. Many people complain of feelings of anxiousness, ranging from occasional mild worrying to full-blown anxiety disorders such as Generalized Anxiety Disorder, Obsessive-Compulsive Disorder, Panic Disorder, Social Phobia, or a specific Phobia. Although anxiety is a normal human emotion, we find feelings of anxiety unpleasant and typically try to avoid experiencing them. Attempts to avoid anxious feelings may include overeating, drinking alcohol, watching TV, taking prescription medications, or staying away from situations or people that may trigger anxiety. In their new book, “The Mindful Way Through Anxiety: Break Free from Chronic Worry and Reclaim Your Life,” Orsillo and Roemer propose that avoiding anxiety or attempting to control it does not ease pain and suffering. Rather, avoidance brings its own costs. The authors suggest that to break free from anxiety, instead of avoiding anxious feelings, we practice coping strategies that allow us to turn toward and pay close attention to anxiety. Turning toward something that we would usually avoid and taking a fresh look at habitual responses are crucial components of mindfulness. Before exploring how mindfulness can help us break free from the grip of anxiety, let’s look at an example of what anxiety is. Jody recently moved to New York City from Alabama to start a new job. Heading into a corporate meeting, she notices that most of her coworkers are already seated and chatting with one another. She takes a chair between two groups already engaged in conversation and begins shuffling through her papers. She feels her anxiety rising. Some of the thoughts that go through her mind include, “I don’t fit in here,” “My clothes are all wrong,” and “They must think I’m an idiot.” She feels her face flushing, palms sweating, and pulse quickening. Thinking of the friends she left behind at her former job, she feels a wave of sadness and regret. She despairs as she thinks about the years ahead of her, just knowing that she will always feel alone. For the duration of the meeting, she keeps her eyes downcast, contributing nothing to the discussion. As this story illustrates, components of anxiety include thoughts, emotions, physical sensations, and behaviors. Evolutionarily, humans are hardwired to feel fear. Fear is actually a helpful warning that alerts us to potentially dangerous situations. When we perceive a threat, the fight-or-flight response kicks in to ready us to combat or escape from harm. The physical symptoms we experience when this response occurs (increased heart rate, rapid breathing, adrenaline rush, etc.) are merely side effects of the body getting ready to fight or flee. Compared to fear, anxiety is a more subtle but chronic state. Whereas fear is an automatic response to a threat we perceive as immediate, anxiety includes thinking about or imagining some possible threat we may come up against in the future. Orsillo and Roemer’s research indicates that our struggle with fear and anxiety does not come from any actual harm caused by the physical sensations of these emotions. Rather, it arises from our reactions to these emotions and the thoughts, sensations, and images that accompany them. Criticizing ourselves for feeling fear or anxiety is what hurts us, not the fear and anxiety themselves. This is where the turning inward is helpful. Mindfulness can help us replace self-criticism with compassion. Simply put, mindfulness is a specific way of paying attention. It involves “purposefully expanding your attention to take in both what you are experiencing inside – your thoughts, feelings, and physical sensations – and what is happening around you.” (p. 81) The key concepts of mindfulness include 1) Noticing – becoming fully aware of the thoughts, feelings, physical sensations, and images that you experience, as well as the details of your environment; 2) Curiosity – approaching experiences with openness; and 3) Self-Compassion – acknowledging that the reactions we have are part of being human, accepting what cannot be controlled, and treating yourself with kindness and care. The authors provide a series of exercises progressing from a 5 minute breath exercise through a number of informal and formal techniques to practice mindfulness. Readers are also encouraged to download audio recordings from the book’s website to listen to while practicing or to record their own scripts. But isn’t mindfulness a Buddhist principle? Is it a new age fad? What if I have different spiritual beliefs? The term mindfulness indeed originated with Buddhism, but the idea has recently been included in research and therapeutic settings. In fact, mindfulness practice has been shown to decrease anxiety, insomnia, stress, risk of coronary heart disease, substance use, chronic pain, and fibromyalgia, and increase attention, sexual functioning, quality of life, and immune system functioning. The book does not focus on the religious aspect of mindfulness. How can I find the time to practice mindfulness? While research suggests that more practice is associated with greater benefit, the authors offer a variety of techniques including exercises that only take 5 minutes a day. They also point out activities that you can do mindfully, such as eating, walking, washing dishes, folding laundry, petting your dog, cooking, listening to music, or hugging a friend. How can mindfulness help with anxiety? Sam was on a third date with Chris. He had been single for a long time and knew that he wanted to develop an intimate relationship. He was quite fond of Chris, and was getting signals that the feeling was mutual. As the talk turned more personal, he felt his pulse quicken, his chest tighten, and his mouth get dry. He felt the urge to change the subject so he wouldn’t risk feeling vulnerable and getting hurt. He watched Chris for cues, and thought he saw a frown of displeasure when Sam talked about a low point in his life. What Sam really wanted to do was excuse himself, pretend to go to the bathroom, and run like hell out the back door of the restaurant. However, he really wanted to build a connection with Chris, so he chose to remain in the situation. Often the things that really matter to us, like loving people, forming emotional connections, taking on challenging tasks, or caring for those in pain and suffering, bring with them emotional pain. In these cases, living a fulfilling life means that we notice the pain and allow it, rather than trying to make it go away. Mindfulness can help us to embrace our entire range of emotional experiences, making it easier to make these choices and enrich our lives. Boyce, Barry (Ed.). The Mindfulness Revolution. Shambhala Publications, Inc., 2011. Matheny, Kenneth B. & Riordan, Richard J. Stress and Strategies for Lifestyle Management. Georgia State University Press, 1992. Nhat Hanh, Thich. Peace is Every Step: The Path of Mindfulness in Everyday Life. Bantam Books, 1992.
by Lisa Anyan Smith, Ph. D.
Change is an inevitable part of life. Transitions are all around us – births, deaths, graduations, anniversaries, moving to a new residence, marriage, divorce. Beginnings and endings are occurring constantly. Some are small and mundane: the ringing of the alarm clock to signal the start of a new day, or the finishing of a good book. Some are major and catastrophic: the destruction of the World Trade Center buildings, or the recent earthquakes in Haiti and Chile. Some changes are initiated by us, while others are imposed upon us by outside forces, or seemingly fall from the sky out of the blue. Some transitions feel more welcome and comfortable than others. Some feel downright unpleasant. What can we learn from change? Perhaps the answer, in part, lies in chaos theory. While musing about various changes I have experienced over the past year, I came across a book entitled “Seven Life Lessons of Chaos: Timeless Wisdom from the Science of Change,” by John Briggs and F. David Peat (New York: HarperCollins, 1999). The scientific term “chaos” refers to an underlying interconnectedness that exists in apparently random events. Briggs and Peat deftly relate some of the complexities of chaos theory to everyday life, and I would like to share some of their lessons with you. Lesson One: Being Creative In each moment, we have the opportunity to let go of prejudices and automatic habits. 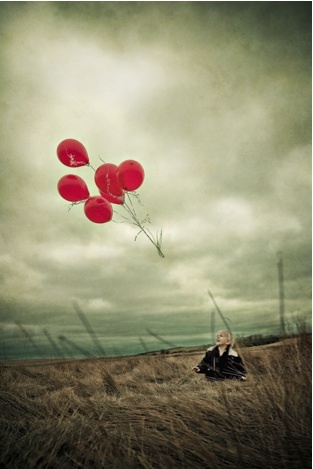 This letting go frees us to be open to the power of uncertainty, and thus creativity. Lesson Two: Using Butterfly Power Chaos theory suggests that each one of us possesses the power of “subtle influence,” much like the idea of a butterfly flapping its wings on one continent that leads to hundreds of thousands of tiny interconnected events that culminate in a hurricane on another continent. Lesson Three: Going with the Flow Consensus decision-making models involve much deliberation and discussion before an agreement is reached. The process can feel chaotic. However, when a decision is reached, all parties claim ownership and are committed to the decision. Lesson Four: Exploring What’s Between Chaos theory holds that life is both simple and complex. When life seems most complicated, a simple solution may be just around the bend. Conversely, what appears simple on the surface may be incredibly complicated. Lesson Five: Seeing the Art of the World Chaos is as much about art as it is about science. William Blake urged us to …”see the world in a grain of sand, and an eternity in an hour…” While observing birds, squirrels, and chipmunks at your backyard feeder, you may notice that although there are repeating patterns, something unexpected and random occurs that keeps you engrossed. Lesson Six: Living Within Time Rather than thinking of time as a one-dimensional line running from past to future, chaos theory allows for elasticity in time. I especially enjoyed the story of monk who stops to listen to the beautiful singing of a bird in the woods. Upon returning to the monastery, he discovers new faces. While he was listening, all his friends died and an entire century passed. Lesson Seven: Rejoining the Whole To live deeply and fully, we seek awareness. Yet as soon as we sense that we are seeking, awareness escapes our grasp. Chaos theory, as applied to change, requires that questions remain unanswered. Perhaps we learn more from the journey, than when we reach the destination. So how can chaos theory impact our everyday life, and what does it have to do with change? Well-known to those participating in recovery programs is the Serenity Prayer, which asks “…grant me the serenity to accept the things I cannot change; courage to change the things I can, and the wisdom to know the difference.“ While we strive to effect positive changes from within, and struggle to adapt to changes that appear from without, we can remind ourselves that chaos does not necessarily need to be tamed. Sometimes the path of least resistance is the way we are meant to follow. Yet “least resistant” is not synonymous with “easy.” Although we may not be able to make order of chaos, we can find calm within the storm.